Dr Hsu is an Adult and Paediatric Spine surgeon based in Sydney. Dr Hsu received his medical degree from the University of Sydney before obtaining his qualifications as an orthopaedic surgeon in New South Wales. Following his orthopaedic training, he spent 18 months in the USA completing further specialised training in all facets of Spine surgery. During his fellowships he worked and trained at two world-renowned institutions, UCSF, San Francisco, CA and Twin Cities Spine Center Minneapolis, MN. Dr Hsu’s interests lie in all aspects of spine surgery and spinal disorders, in particular, adult and paediatric spine deformity, complex cervical reconstructions, spinal osteotomies and degenerative cervical and lumbar conditions. His objective is to educate and inform you of your condition and to help you with making important decisions regarding treatment options. Dr Hsu has an immense interest in education and research and is a dynamic participant in global spinal organisations. He is an active member of the Scoliosis Research Society (SRS), North American Spine Society (NASS) and the American Academy of Orthopaedic Surgeons (AAOS) and a delegate member of AO Spine. He is a member of the Society of Minimally Invasive Spine Surgery (SMISS) and a Fellow of the Hong Kong Academy of Medicine (FHKAM). 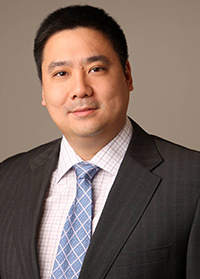 Dr Hsu has given numerous presentations at both national and international meetings and is published in the journal Spine, An international journal for the study of the spine and has written several book chapters. Dr Hsu is fluent in English, Chinese (Cantonese and Mandarin).